There is a strong resurgence in consumers’ passion for stationery and specialty paper products. From journals to cards to prints, the written word and personal sentiments are returning stronger than ever – and in new ways. Heavy cardstock, letterpress, lithography and laser printing are key in greeting cards this season. What’s more, producers are also the designers and makers of most of the products in their collection. Being a “maker” is an important point of differentiation that nicely aligns to originality and authenticity – key components to drive card and gift purchases. Greeting cards featuring inspirational quotes will dominate buyer interest; they will be accompanied by simple messages of “You’re Gorgeous” and “I Think You’re Swell”. 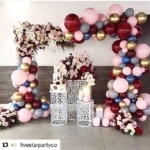 Designs reflecting personal taste and interests, such as food, wine, pets and nature complement sentiments including “Happy Anniversary” or “Happy Birthday”. Wild Ink Press, Freckled, August Paper Co, Peter Pauper Press,Nightingale Projects and Timbergram catch buyers’ attention for their quality, originality and creativity. Sending a hello in writing – and just because – is novel in today’s digital age, feeding the craving for personal connection. And stationery designers provide a range of designs to do so in style. Foil, embossing and vibrant colors are must-haves in the stationery scene, accompanied by a little 1950s to 1960s nostalgia. Flowers, foliage and people set in cityscapes are particularly popular. Companies including June December, Kate Spade, Parker Thatch, and Rifle Paper Co. will offer buyers what they are seeking. Journals are keepsakes that have wide appeal, and their designs are as diverse as is the customer. Recycled paper, beautiful binding, leather that features hand detail are trending design elements. On the contemporary side, bold colors and geometric patterns catch the eye. Journals with unique uses stand out from among the gorgeous range of blank journals without a specific purpose. Travel diaries, self-exploration journals, journals that track family memories are trending subjects. Eccolo Ltd, Natalizia Sas di Luca Natalizia & Co, Portico Designs andChronicle Books are all ahead of the game with numerous on trend offerings. Letterpress printing is in full force, featuring just about any subject matter. What caught our eye in exploring new trends are the letterpress prints that feature everything from the history of hip hop to how to drink whiskey. The subject matter trend also trickles over into standard printed artwork as well. Pirasta’s larger than life posters encourage kids of all ages to decorate and personalize their spaces with their colorful imaginations. American city scenes and outdoor trail maps receive serious attention from. This probably has much to do with the fact that many of the largest US-based lifestyle brands are driving heaving-hitting marketing campaigns to promote exploration and travel, while leaving technology at home. Posters with images or words that remind the owner of a favorite pastime or travel adventure are on-trend and thriving. Register for the NSS to experience these trends and so much more!